FOR THE BEST TIME EVER IN PANAMA! Join Anna and Michelle for a transformational week of yoga, playful good times and soulful exploration in the breathtaking beauty of Panama! Nourish body, mind and spirit, as you dial in to vision and purpose for the coming year. In addition to twice daily yoga, enjoy the stunning Pacific from the southernmost tip of Central America and swim, SUP board, surf, snorkel, hike, bike, rest and rejuvenate to your hearts content. 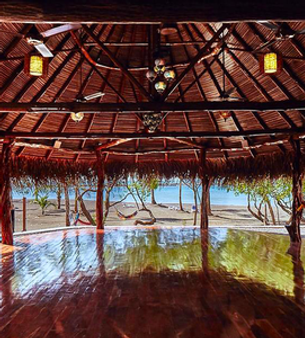 Spend the first full week of 2019 together in Cambutal, Panama at the stunning Sansara Retreat Center. Plan on flying into Panama City on the 5th of January, spend the night in a hotel of your choice (this is not included in the cost, but there are a few great one’s to choose from at different price points), and be picked up by the retreat center staff on the morning of the 6th to head to Sansara. You are always welcome to add days before or after the retreat to your trip to do your own exploring of Panama or any of the neighboring countries.